EXPERT LEVEL. 75 Additional Cards. Command renegade spellshapers that transform any card in your hand into a useful spell. Exploit alternative casting costs to get key cards in play. Recruit creatures straight from your library to decimate opponents. 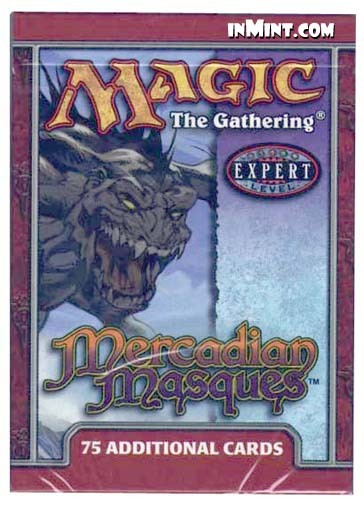 Conquer the dark forces that lurk behind Mercadian Masques. 75 randomly sorted game cards and a Mercadian Masques rules insert. Rulebook not included.